Two of the biggest challenges that a connoisseur of automatic watches faces is "how to keep them running all the time" and "how can I possibly buy a watch winder unit big enough to keep my collection running when I don't know how many automatic watches I will own?" 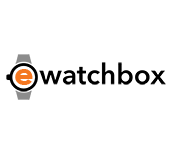 In my opinion the BOXY Fancy Brick Winder is the best single automatic watch winder for the watch connoisseur. Why? It differs from other watch winders because a watch collector doesn’t have to purchase all 12 units at once – he (or she) can add watch winders as he they build out their automatic watch collection. One of the patented powered expansion pads can power up to 6 or 12 automatic watches at a time from a single AC adapter. These units come in a number of classic or bright colors, has up to 16 programmable settings and are very affordable. Don’t let the size of your watch winder limit the number of automatic watches in your collection!